Boeing has announced that Jeju Air is ordering 40 737 MAX 8 airplanes with options for 10 additional jets. The deal, valued at up to $5.9 billion at list prices, is the largest order ever placed by a Korean low cost carrier and reflects the ever continued demand for air travel in South Korea. The country is home to the busiest air route in the world, Seoul - Jeju. 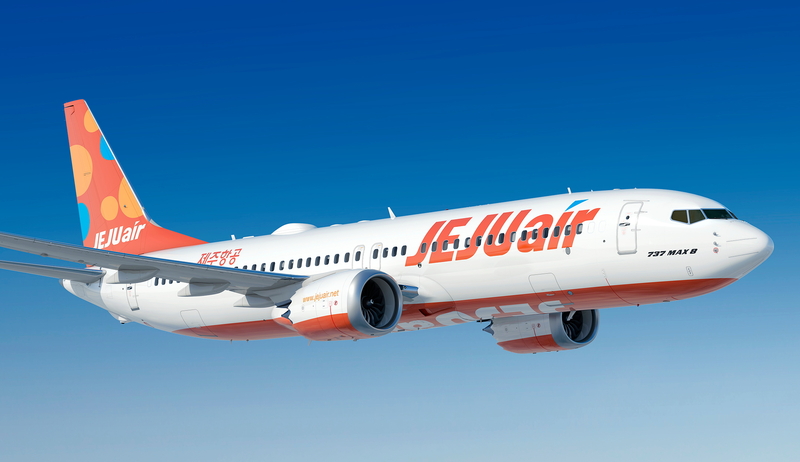 Flying a fleet of nearly 40 Next-Generation 737-800s, Jeju Air has steadily expanded its business and its profits. The airline has achieved 25% annual sales growth over the past five years and recorded 17 consecutive quarters of profitability. The 737 MAX 8 provides more range and offers 14% better fuel efficiency and environmental performance thanks to the latest CFM International LEAP-1B engines, Advanced Technology winglets, and other aerodynamic improvements. See latest HD Video Interviews, Podcasts and other news regarding: Jeju Air, Boeing, 737 MAX.